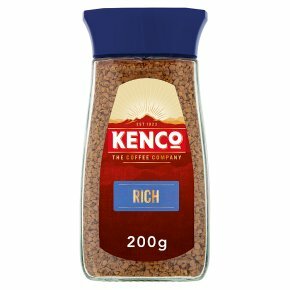 Full-bodied intense roast.One sip and you'll appreciate the intense richness of Kenco Rich: a distinctive, full bodied coffee. We take a special blend of premium coffee beans, then roast them with care and expertise to create the rich flavour and irresistible aroma. Also available in Refill packs. Enjoy your favourite Kenco taste - with 97% less packaging weight.